Central California with a touch of Northern thrown in. 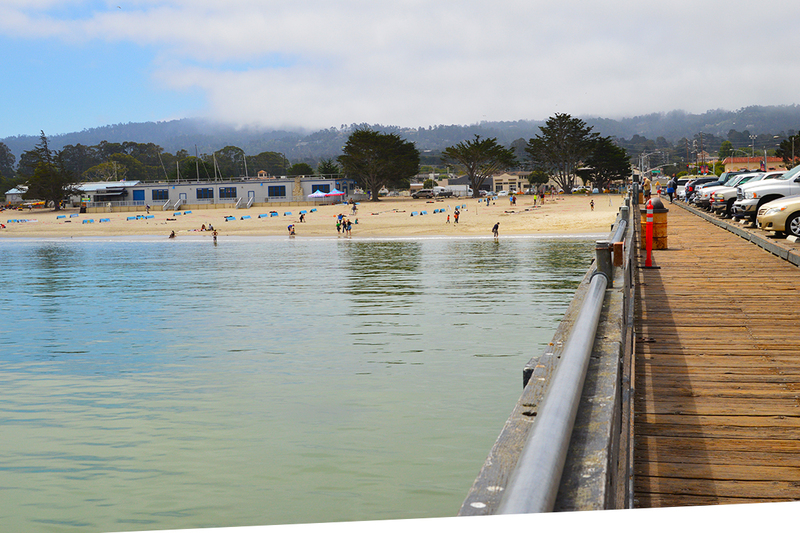 Stepping out of our familiar Southern California we take you to central California to the spectacular Monterey Peninsula and Capitola Beach. I couldn’t find an acceptable answer to decide where the line is drawn to divide Central versus Northern California but it is widely accepted that Santa Barbara starts central and north starts around Monterey so let’s go with that. Whatever the case may be, we were somewhere between central and northern California. 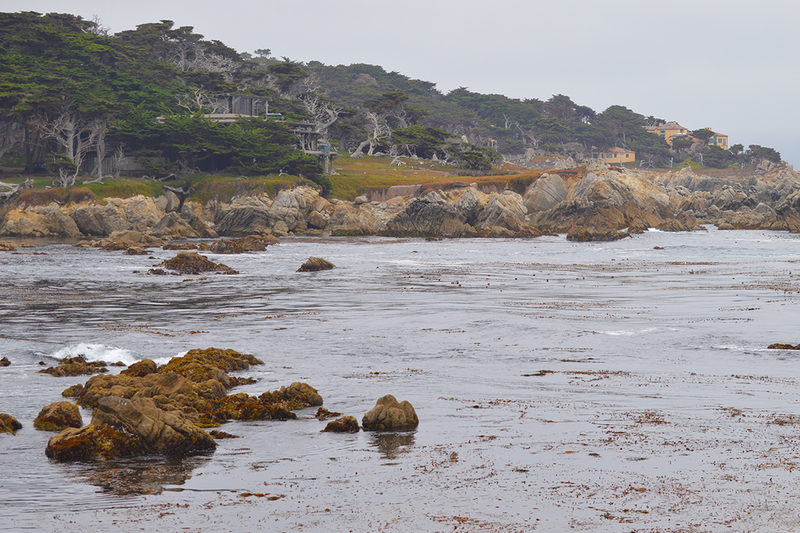 We started off on a very hazy and gray morning to visit Monterey and take the picturesque 17 mile drive just south along the coast. It was very disappointing for photography reasons considering there are photo opportunities galore along this part of the coast. 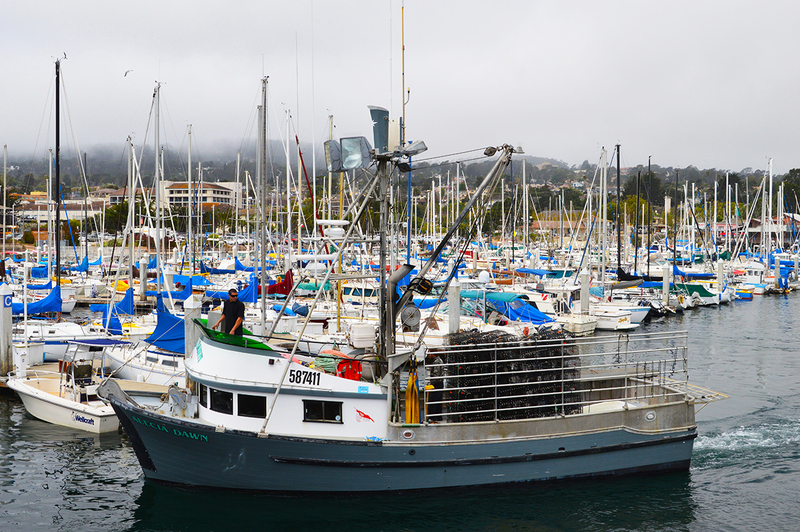 Not knowing if it was going to clear up we still put on a happy face and headed toward Monterey . 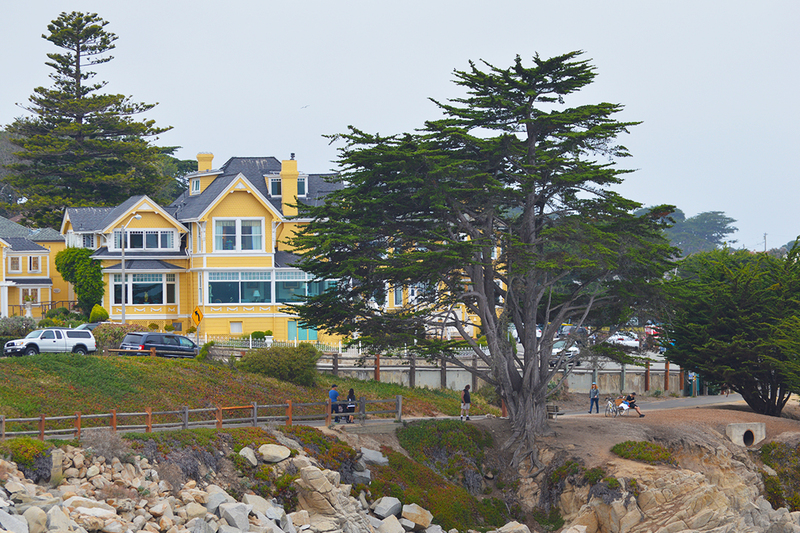 Monterey was crowded and the traffic was excruciatingly slow while driving toward the wharf. It was disappointing considering I wanted to get out of the hustle and bustle of Southern California’s gridlock. However, you can’t beat the amazing scenery and waiting in traffic is worth it. 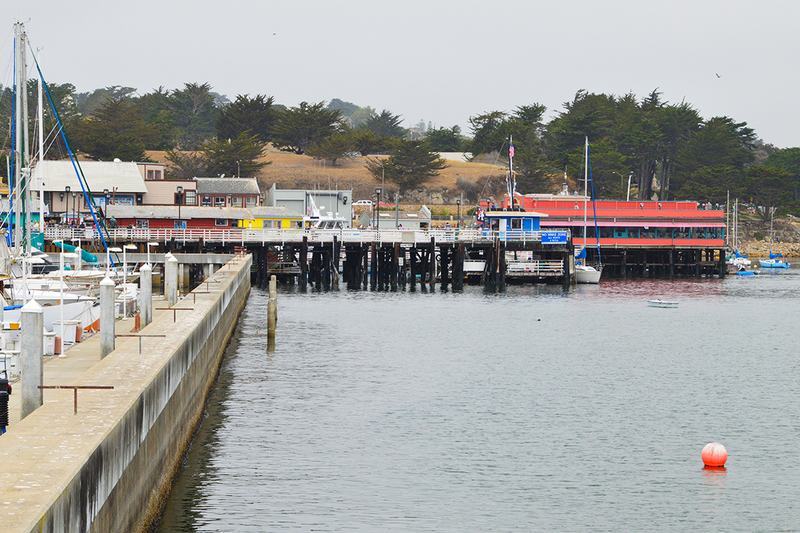 First stop was the Wharf, a pier like structure that overlooked the beach on one side and the moored boats on the other. On the plus side, we found a parking spot which is always a great start. 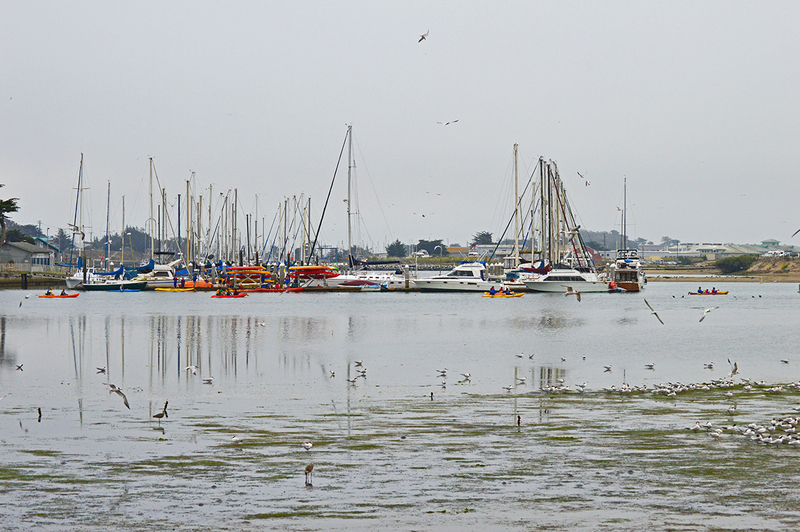 The boats that dotting the water made for a very serene atmosphere and the beach spanned as far as you can see. About a mile down the coast we drove through historic Cannery Row where tourists lined the sidewalks perusing through the shops or waiting to get into one of the many ocean view restaurants. At the end of the street sits the Monterey Bay Aquarium which was voted the world’s best aquarium by TripAdvisor.com’s users. Even with the traffic I loved this area and would like to go back again and spend more time. 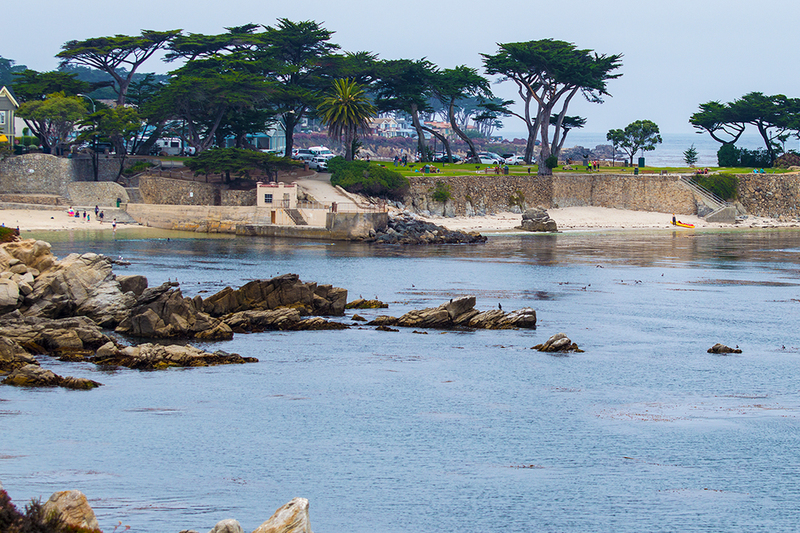 South of Monterey you begin the 17 mile drive that takes you by the holy grail of golf courses, Pebble Beach. 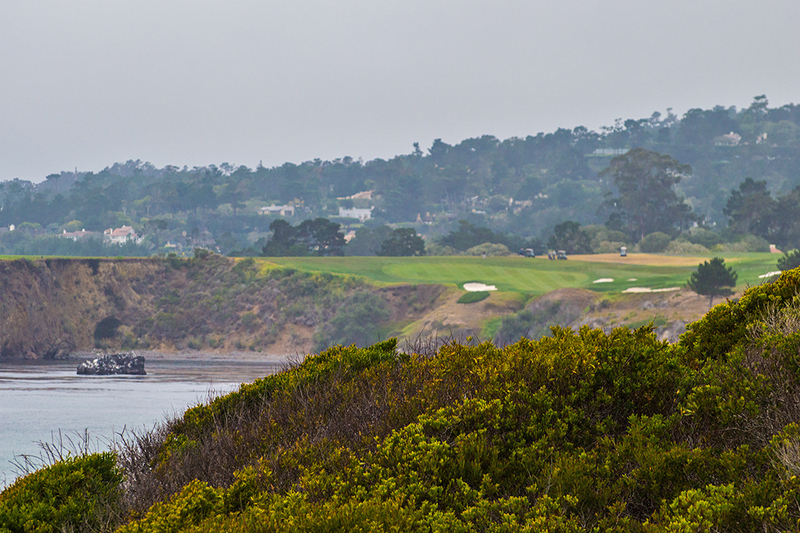 There are other golf courses along the way but they get lost against the beauty of the Pacific Ocean to your west. 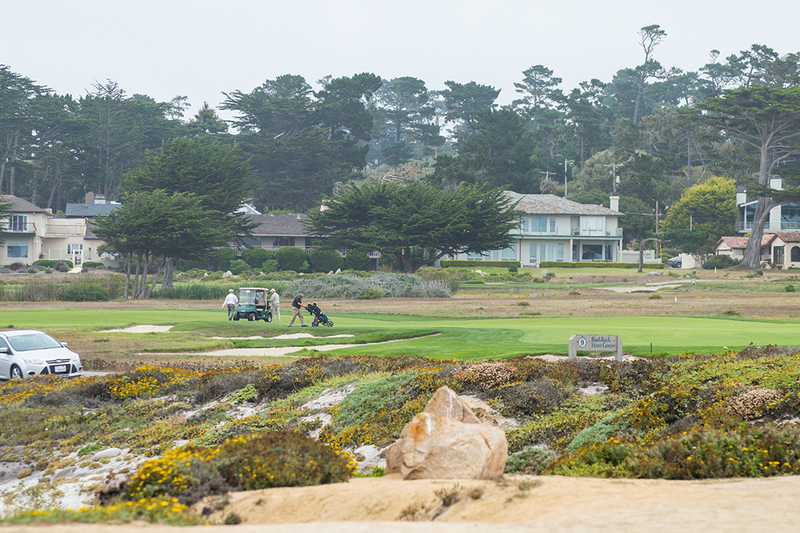 Unless you are a golfer, the pull of the ocean is where your eyes will gaze. 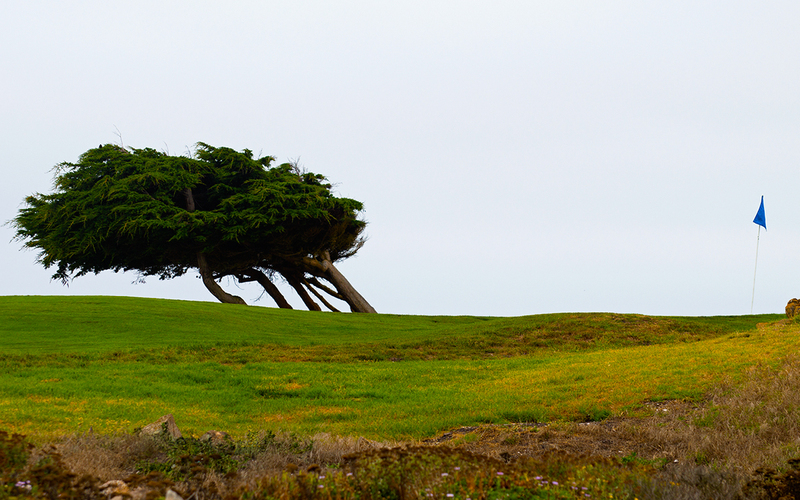 However, as a golfer, I was entranced by both and a bit jealous of the golfers on the course. 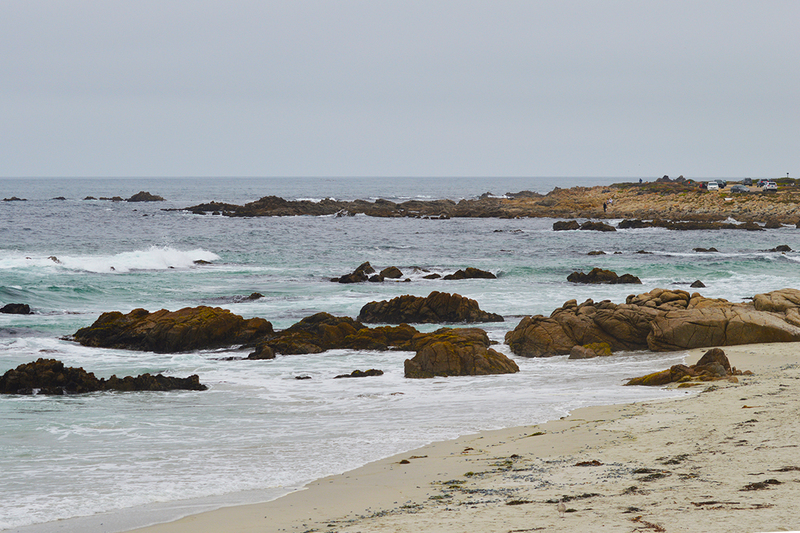 This is an extremely scenic drive and offers many places to pull over to take pictures or picnic along the beach. At certain times of the year flowers are blooming colorfully and the sky is actually blue. Not on this day. However it was still beautiful and we highly recommend you make this trip. 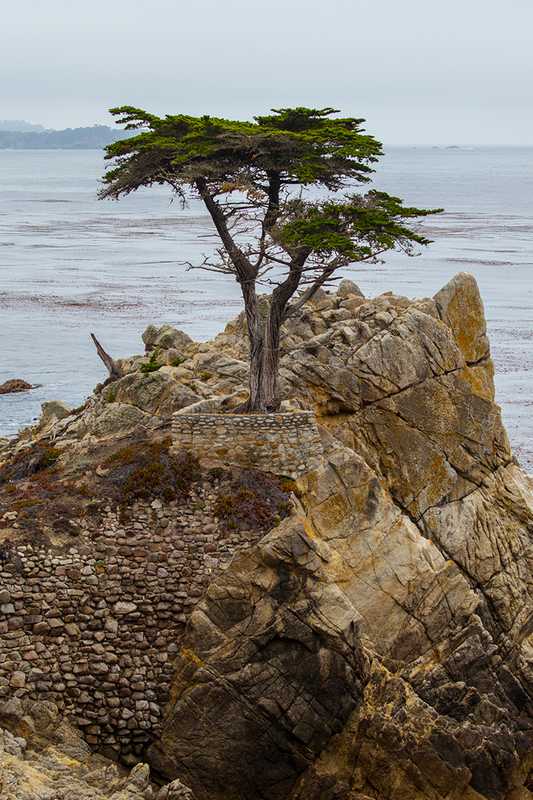 Don’t forget to stop at the ‘Lone Cypress Tree’ which is one of the most photographed trees in America. Standing on a granite hillside, they guess the tree is about 250 years old and is held in place by cables of which I did not see. The cost to take the drive is $10 and you pay that at the entry gate. 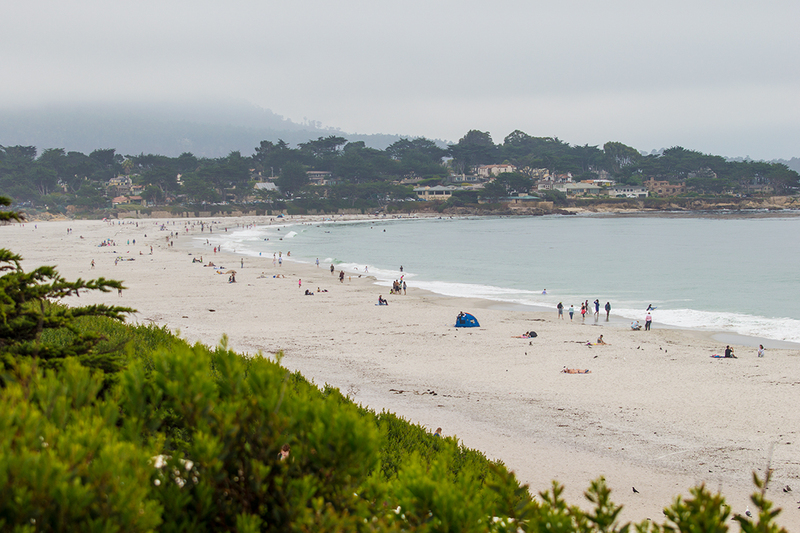 A quick little tour of Carmel and Pebble Beach and we were back on our way up the coast. 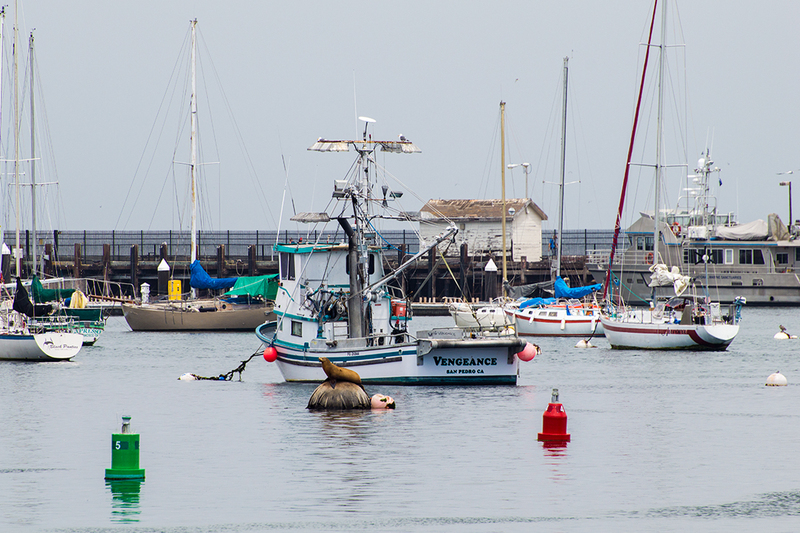 A stop in Moss Landing made me think that this is what I was talking about. 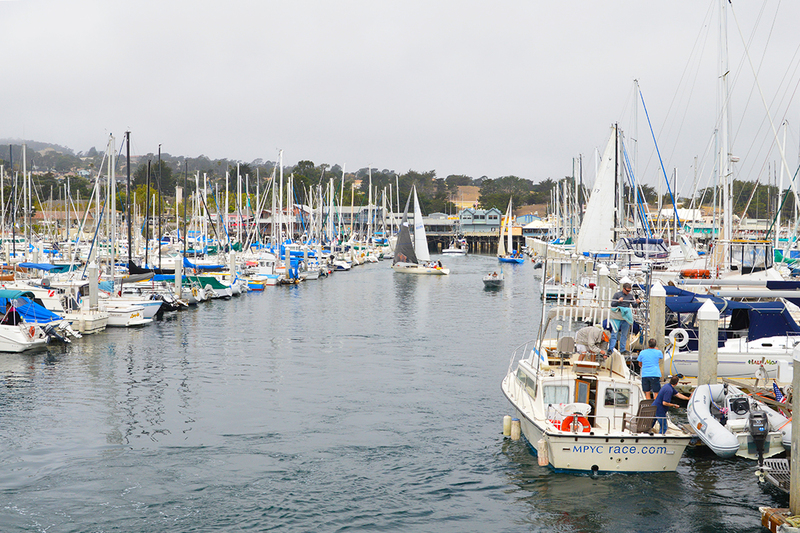 This quaint town is all that Southern California is not with its small harbor and tranquil atmosphere. 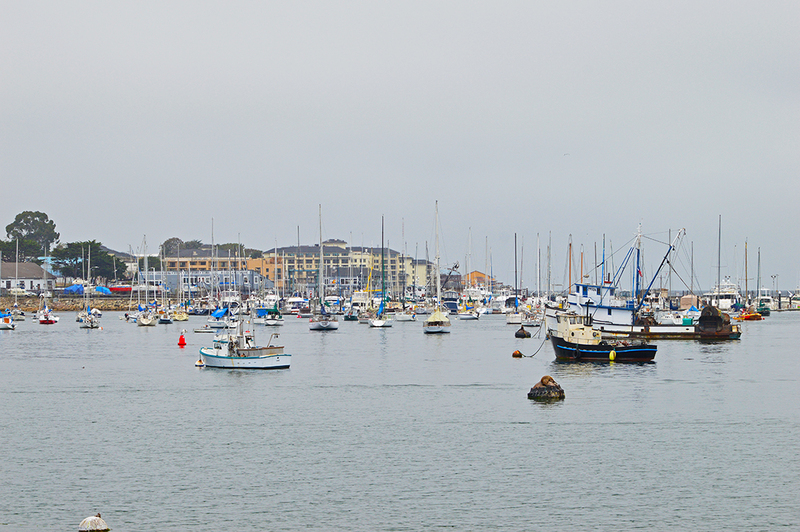 It looked like a typical fishing village with a few restaurants scattered about. 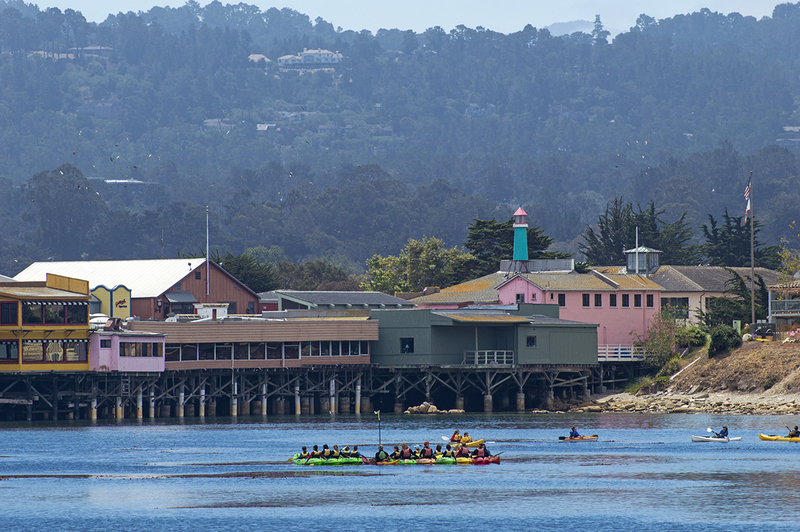 It is also a bird watchers and stand up paddlers paradise as I saw more than a few people with binoculars and quite a few stand up paddlers and kayakers. It made me long for a SUP but since I don’t have one, I pulled out my camera instead. The gray haze made it look dull so I tried to pull as much color as I could into the shot. 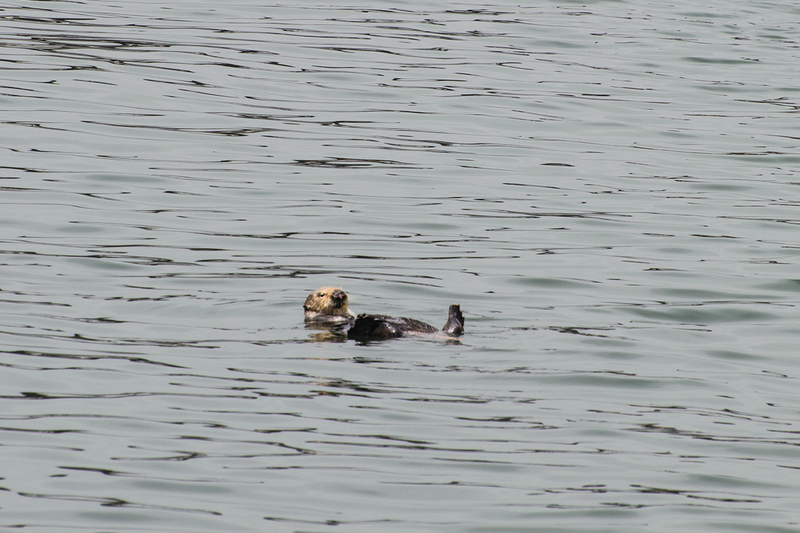 Then I pulled out my telephoto to see what birds everyone was looking at through their binoculars. I don’t know what they were but they were beautiful. 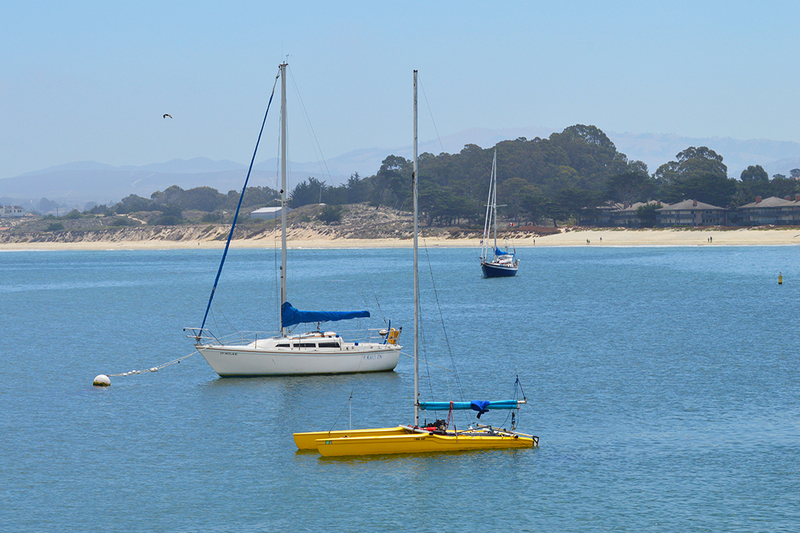 Anyway, up the coast from Moss Landing we reached our home Port for the weekend, Watsonville. 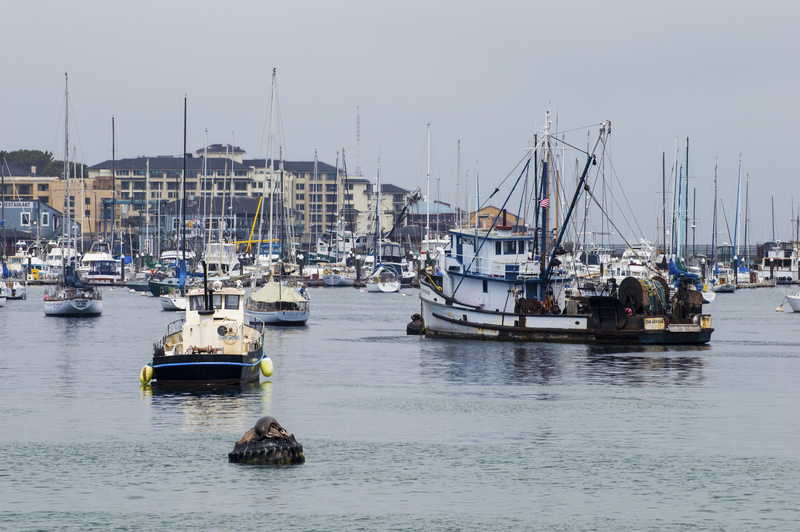 We actually didn’t see much of Watsonville as we were more interested in Monterey and the 17 mile drive. Sunny skies!! 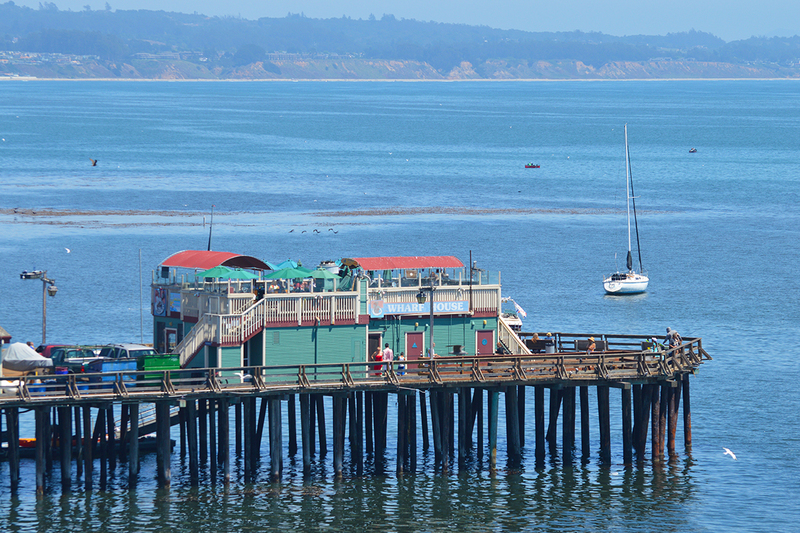 The third day the sun came out so we headed to a little town that I saw featured in the magazine from the hotel, Capitola. 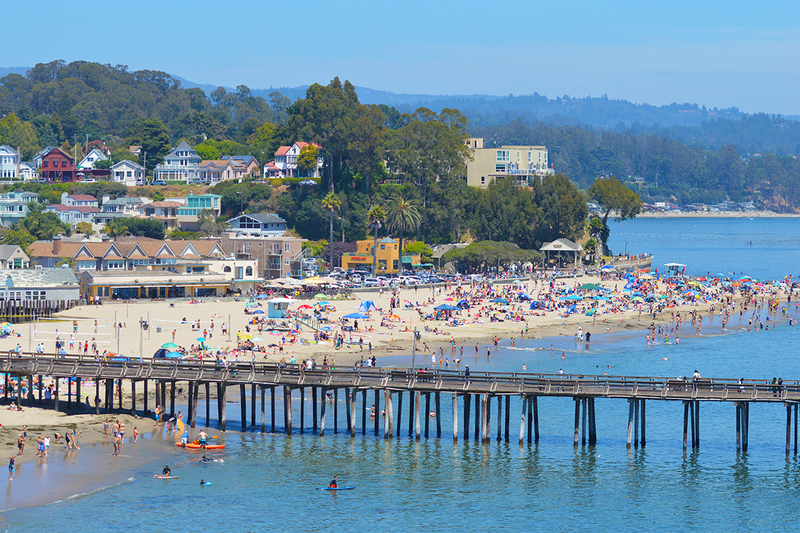 I loved Capitola and will definitely come back. It just had a homey feel to it. However, since it was a hot summer day, we knew as soon as we drove by a sign that said ‘Beach shuttle parking’ that there would be no parking, there wasn’t. It seemed like thousands of people flocked here to visit the beach as well as shop and eat at the variety of stores and restaurants. Jutting out not to far from shore was a picturesque pier with a restaurant at the end. I would have loved to take a leisurely stroll along the pier but we were double parked and a police officer actually yelled out to us to find a parking space. Really? I made a note to come back in spring or fall, when it was less crowded. 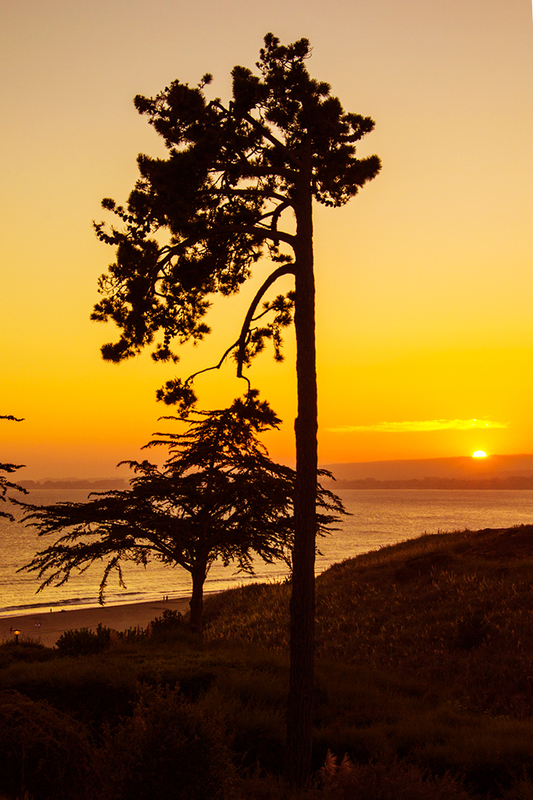 Later in the day we attended a wedding in Aptos. I am sure the bride and groom were elated that the sun came out for their outdoor event. It was a perfect setting for a wedding with the nuptials taking place on a cliff overlooking the majestic Pacific Ocean and the vast beach below. To get to the beach is not a walk that I would love to do on a daily basis but the resort at the wedding site thrilled us with a free ride to and from the beach in a golf cart. Thank Goodness. 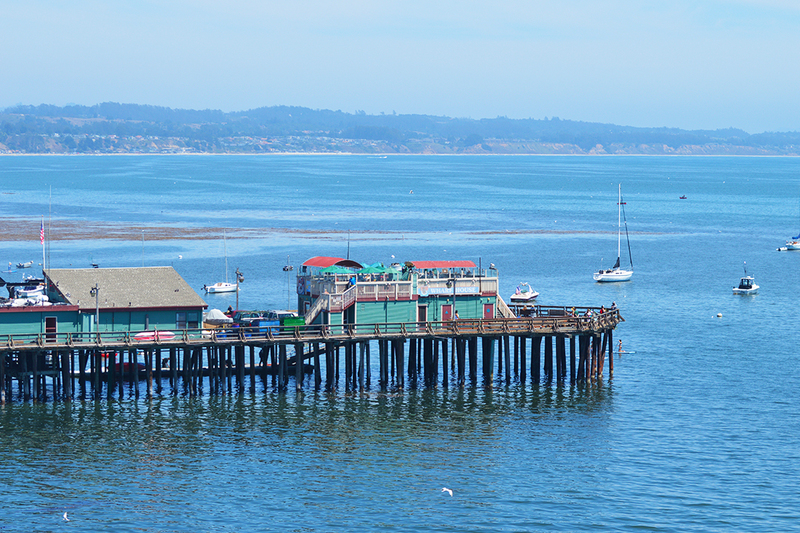 Didn’t see much of Aptos but it still looked like a great place to visit with its long spanning beaches. The next day it was homeward bound with me having a bright idea to take Highway 101 in hopes of seeing more ocean on the way home. Not a great decision as the traffic was overly heavy along the two-lane road and only parts of the way you actually are on the coast. I guess I have to expect that on a Sunday afternoon. Our friends took I -5 and left 45 minutes after us and beat us to our meeting spot by 20 minutes. Traffic aside, I love Central and Northern California. It is a magical place that takes you back to old California and in certain places I think this must be what Southern California was once like. 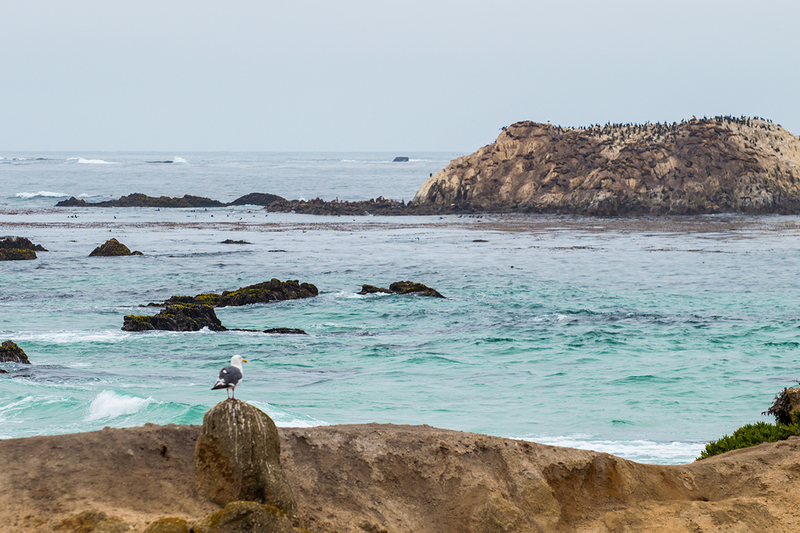 You can still find little cubbyhole towns along the coast and enjoy peace and solitude. I will go again but maybe not in summer and I will definitely take an extra day to drive home on a Monday instead.